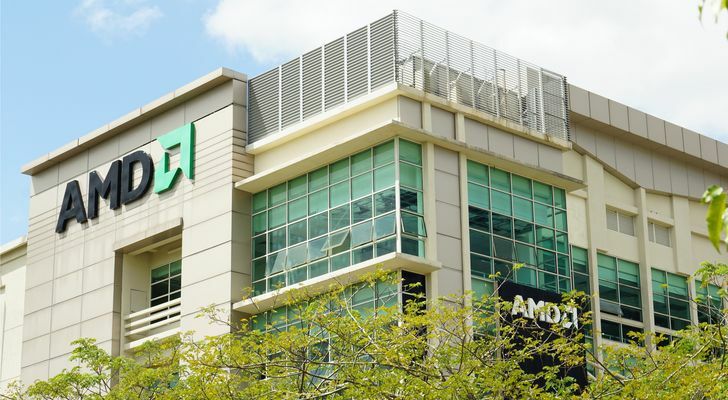 This year has been an undeniably good one for Advanced Micro Devices (NASDAQ:AMD) shareholders. The AMD stock price is up 165% year-to-date, and seems to be dealing with recent headwinds relatively well. It’s a testament to just how in-love investors are with the company’s turnaround story. This is yet another case, however, where a story may have taken on a life of its own and distracted investors from the pesky truth about AMD’s results … past and projected. Although the turnaround is real, the market’s valuation of AMD stock has been exceedingly generous. That in and of itself isn’t problematic. Lots of stocks are arguably overvalued, and they do just fine: Amazon (NASDAQ:AMZN) and Netflix (NASDAQ:NFLX) are just a couple of examples. There’s a stark difference between the market’s treatment of AMD stock and other tickers like NFLX and AMZN though. That is, analysts are on board with the crazy valuations AMZN and NFLX are sporting. They’re not quite the same kind of believers when it comes to Advanced Micro Devices stock though. Credit has to be given where it’s due. Advanced Micro Devices caught rival Intel (NASDAQ:INTC) off-guard in the CPU race, and has given GPU rival Nvidia (NASDAQ:NVDA) a respectable run for the money. Indeed, AMD reported second-quarter profits that were the best quarterly earnings it’s seen in seven years. Clearly it’s doing something right. AMD stock is priced for more-than-perfection though, and it doesn’t have the supporters it needs where it needs support the most … from analysts. Overpriced stocks are nothing new. Indeed, the very premise of relative valuation is seen as a relic by some, and even scoffed at by others. One only has to look at the history of Amazon stock to understand the argument. Amazon has never been reasonably priced, yet it’s still up nearly 3,500% for the past ten years … not based on actual profits, but projected profits. Ditto for Netflix. It’s up more than 10,000% for the past decade, largely on hopes of decent earnings that forever remain just a little farther down the road. Both of those tickers had something Advanced Micro Devices doesn’t have right now though — a consensus target price above the current price of AMD stock. The pros collectively think it’s worth $25.67 per share right now, or 5% less than its current value. A mere matter of timeliness? Analysts haven’t yet had a chance to up their views? Nope. No less than four analysts have made official changes to their stances on Advanced Micro Devices stock within the past three weeks. Two of them were downgrades. A third one was initiated coverage from KeyBanc, which only rated AMD at “Sector Weight”… not exactly a blistering accolade. More to the point though, the analyst community has had ample time and opportunity to change their stance on the company, and the stock. They haven’t, except to collectively lower their aggregate opinion on AMD stock. It’s still a “Buy,” but now closer to a “Hold” than a “Buy” thanks to the ground it has lost on that front since July. The graphic below lays everything out. As for why analysts aren’t getting behind the AMD story when they’ve clearly had no problem supporting downright crazy valuations of other stocks, it’s not entirely clear. Broadly speaking though, the screaming differences between Advanced Micro Devices and the aforementioned Netflix and Amazon is a clear path to huge, sustainable growth. It may not have been terribly profitable or fruitful growth, but there was little doubt the top lines of those other two outfits would grow in perpetuity. The professionals may not be seeing sustainable revenue growth in the cards for AMD. Rather, they seem to be pricing in a sales plateau sooner or later. Advanced Micro Devices will be reporting its quarterly numbers on Oct. 24, after the market closes. Undoubtedly the results will provide more clarity on how well the new-and-improved company is progressing. Almost as certain is the idea that any measurable improvement will be held up as proof that AMD will never stop growing. Caution is advised about coming to that conclusion though. The company may well be on the cusp of a multi-year growth spurt, driving shares higher the whole time. However, it can’t be overlooked that so far the analyst community — a group that is notoriously optimistic — still aren’t full believers in the idea that AMD is back on a long-term growth track. Let’s see if those opinions and target prices are bumped up after the upcoming earnings report. Article printed from InvestorPlace Media, https://investorplace.com/2018/10/theres-a-huge-flaw-in-valuing-amd-stock-like-amazon-or-netflix/.